Through years of testing, our manufacturing team has been able to develop and patent a manufacturing process that created a much more stable silver product. 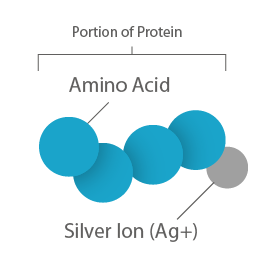 This new structured silver technology created an engineered silver nano particle making it the best silver product ever created. This new technology is far superior to the older process known as colloidal silver. 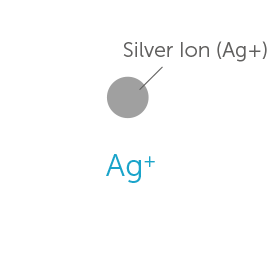 With both manufacturing processes, the silver particle is inside a water molecule. The older process creates larger particles or particles with jagged edges which cause the particle to break through the water molecule. When the particle breaks through, it can attach itself to tissues inside the human body. Over time, using colloidal silvers can cause a buildup of particles and may become toxic, similar to taking too much Iron and other minerals. This is not the case with the new patented process used with One Silver Solution. 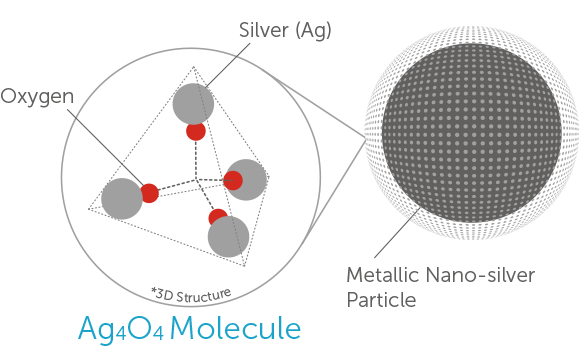 The particles are engineered down to nano sized particles with a thin multivalent silver oxide coating and do not break through the water molecule. This allows the particles to travel more efficiently through the body and will be flushed out within approximately forty-eight hours. WARNING: If you are pregnant, nursing or have any allergic reaction to trace minerals or if you have any chronic or recurring symptoms or illness, consult a healthcare professional before using this product. This is truly a life saver. I'll be a life long customer. Great service from One Silver Solution. I am taking this in an attempt to combat long term Lyme's or a close cousin to it and it was recommended by a friend that said that he was better in two months. I have been on it around 6 weeks now and think I feel a bit better but symptoms always come and go on their own anyway so I am not ready to say for certain what the end result will be. Reality is that I don't know where else to go and will try for another couple of months and hoping. Very pleasant taste, and has helped me stay healthy. At this time after around 2 weeks or so of taking 3 teaspoons. a day I haven't noticed any reaction bad or good. The person that recommended it to me said he had excellent results after 2 months and since it is not making me feel bad I will continue it for at least that amount of time. I have had this for around 15 years and still haven't found anything that will cure it. I love Silver Sol, have used it for years, fighting Epstein-Barr Virus, wouldn't be without it. I rely on this product any time I am feeling a sore throat. I just beat a cough that would not resolve until I began taking Silver twice a day, plus the throat spray. Any time I've had the beginning of a sore throat, I spray this silver solution, and take a tsp in water or juice several times a day. I swear by it for any URI. I love this product and I always keep it in stock. ONE SILVER SOLUTION IS doing it's job very well!!!!! I will be buying more .